Hi, I'm Aaron McCloud and welcome to my site! My interest in strength training started when I was 13. I was at home, reading, when my mother came back from rollerblading and said, "Hey Aaron, I found a place for you to sword-fight!" Socially awkward and a little perturbed, I though it sounded interesting and a few days later I went to a local martial arts training hall. 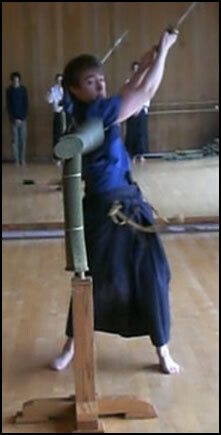 I started learning a tradition of Japanese swordsmanship that stressed target cutting, cutting straw cylinders and bamboo stalks held upright. And while I was pretty terrible when I first started, it did get me thinking about strength training. Since, well, no matter what anyone says about strength not being important in martial arts, strength IS important. So I began reading about strength training on the internet, buying books, doing push-ups, running after school, and generally being completely over-enthusiastic and learning all I could about power, endurance, martial arts, and strength. I just wanted to get stronger any way I could. Flash forward to now – and I'm still trying. I'm 24, and just graduated from college 2 years ago with a degree in Chinese. This (combined with the Japanese I learned in high school, and refined on trips to Japan) helps me make sense of the martial arts manuals I'm usually reading, which happen to include a lot of ancient information about strength training and body conditioning. 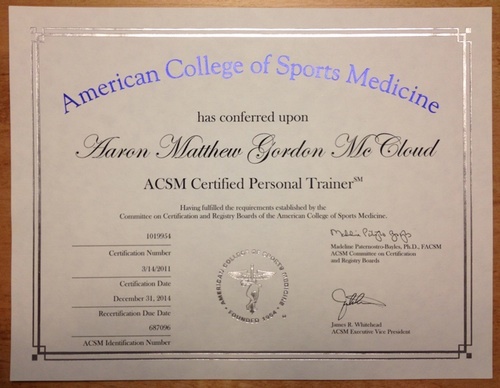 During the last year I became a Certified Personal Trainer with the American College of Sports Medicine, in addition to lifting weights religiously, trying out a variety of diets, reading everything I could lay my hands on about physical development, and traveling to studying with a variety of interesting internal and external martial arts teachers. I feel a lot older, but I must be a bit crazy — I'm still interested in the same things, martial arts and strength. :-) I just keep moving forward! So I decided to make a website to share my knowledge and, hopefully, make a few people stronger and healthier. Everybody could benefit from being a bit stronger, and I really think it carries over into other areas of your life. 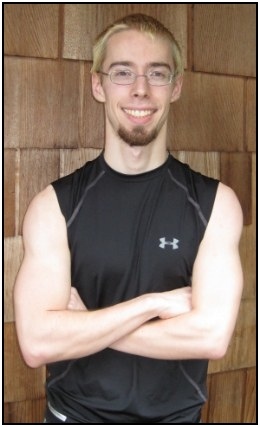 You can check out my favorite strength training books, the sites I like to visit for workout and diet info, or if you're serious about changing your body hire me to coach you. And if you want to get started weight training this week, check out this 5 Day Beginner Weight Training Course! The resolve to practice and persevere at something, even when it's not easy, is incredibly important in life. That is one of the true benefits of strength training. It's also a hell of a lot of fun to get sore and lift more weight than you could a few weeks ago! Look around, and I hope you can find some info that'll make you stronger!